I was very lucky to end up at SP.OR.T.S. after I broke my elbow. The whole staff is pleasant and kind and Bob Grossman is a miracle worker! Nothing makes you realize how much you use your elbows, wrists, and hands throughout the day like suffering pain in these body parts. By the time you shower, brush your teeth, get dressed, cook breakfast, and drive to work, you’ve already used your elbows, wrists, and hands hundreds of times. Elbow, wrist, or hand pain can have a dramatic impact on your quality of life. 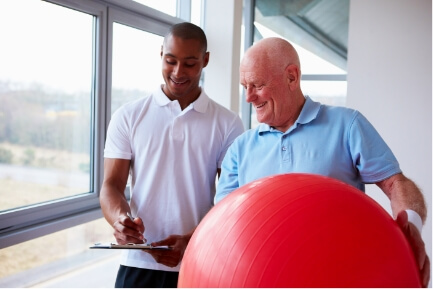 Whether the pain is caused by an injury, illness or other condition, one thing that can definitely help to relieve the pain and aid you in recovery is working with a licensed physical therapist. Contact Sports & Orthopaedic Therapy Services in Silver Spring, MD right away if you’d like to learn more about how physical therapy can help alleviate elbow, wrist, and hand pain. Don’t let elbow, wrist, or hand pain reduce your quality of life any longer than it already has! Contact Sports & Orthopaedic Therapy Services in Silver Spring, MD to schedule a consult with a physical therapist, so we can get you back on track, or “back in the game” as soon as possible.